Convicted Boston Marathon bomber Dzhokhar Tsarnaev is out of Massachusetts, a U.S. Bureau of Prisons spokesperson confirmed. 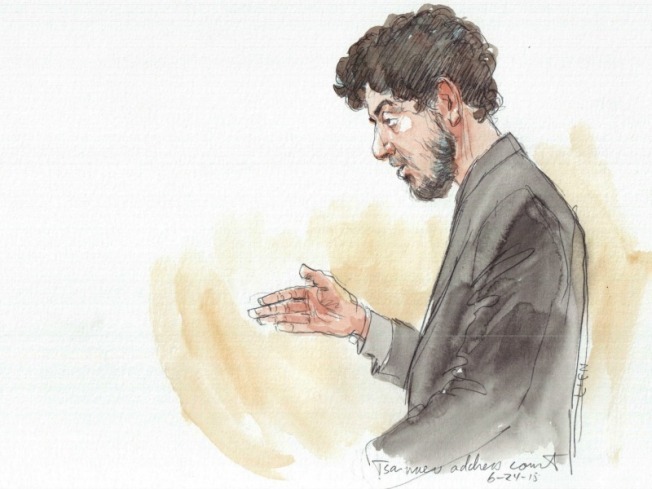 Tsarnaev, 21, has been flown to a federal prison in Florence, Colorado. He was formally sentenced to death on Wednesday for the 2013 attack. He is expected to be moved at a later time to the death row unit at the U.S. Penitentiary in Terre Haute, Indiana. Judy Clarke, Tsarnaev's lead defense attorney, requested on Wednesday that the execution be carried out in New Hampshire, but U.S. District Court Judge George O'Toole Jr. ruled that out and ordered Tsarnaev to be put to death in Terre Haute, Indiana. It wasn't immediately known when Tsarnaev would be transferred to the facility, and his execution will no doubt be delayed several years by appeals.